I have to agree with all of it. Patch 3.0.2 brought a fresh wind of change into the game, exciting everyone in my guild. My only disagreement lies in the raid boss nerf. Mucking around is fun, but at some point you want the challenge as well. The sense of achievement. Especially if you’re delving into content you haven’t done before as a guild. Nonetheless, I’m still very excited, and I’m making the best of it while Retribution is still good. “at some point you want the challenge as well” – well, yes, but there’s been 18 months for people to challenge themselves for a sense of achievement; this is the ‘last minute’ before WotLK is launched, and seems a perfect time for mucking around. I can understand that some raid guilds are desperately trying to squeeze as much content out of TBC as they can, but I think 95% of people have seen all the serious progression they’re going to, and are just now choosing to kick back and relax on a bit of a raiding vacation. I have had more fun in WoW in these past few weeks than I have had in months. 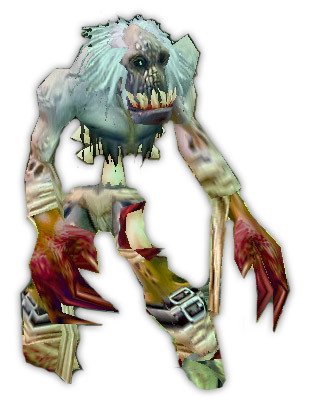 Between Hallow’s End, my friends and I helping each other get achivements, new talents/skills, and the zombie invasion– which I absolutely love by the way, no complaints from me, I mean, waiting five minutes for a questgiver to spawn is nothing when ARTHAS is coming back… I am having a blast! Depending on your level of progression, it’s still a challenge. Fights that required coordination before the patch still require coordination. We tried to brute force one of the ZA bosses we’d never been to before, only to find out that that method wouldn’t work, and that we had to think about what we were doing, pay attention, coordinate, etc. The nerf has obviously given us a big leg up, but you can’t walk in and drop these bosses by just looking at them (most of them, anyway).